A strong tradition of service to clients, community and justice. WilliamsMcCarthy LLP is one of the oldest and largest law firms in northern Illinois. Our lawyers in Rockford and Oregon offer a full range of legal services to public and privately held corporations, family-owned businesses, financial institutions, health care providers, exempt organizations, educational institutions, municipal entities and individuals. Headquartered in Rockford, we service a diverse range of local, regional, national and internationally based clients. Located in the rapidly expanding growth corridor midway between Chicago and Madison, we routinely practice in the state and federal courts of northern and central Illinois and southern Wisconsin. 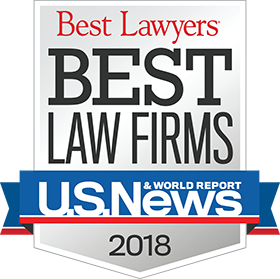 We are honored to have 20 of our partners named to the Leading Lawyers Network, with three of them included in the top 100 lawyers in Illinois. Our practice areas include: business law, general litigation, real estate, labor and employment relations, unfair competition law, complex commercial litigation, health care, corporate, partnerships, mergers and acquisitions, joint ventures, estate planning, pension and profit sharing, creditors’ rights, banking and financial institutions, bankruptcy, probate, will and trust disputes, insurance, family law, personal injury, land use, tax, agribusiness law, intellectual property, environmental, alternative dispute resolution, international, education law and municipal law. Our roots date back to 1932 when the firm was founded by Karl Williams and John C. McCarthy. Our founders began and expanded the firm by strict adherence to the principles of service, competence and integrity. Through their efforts, and of those that followed, the firm developed a long history of leadership and success in and out of the courtroom. To maintain that tradition, we choose our lawyers carefully. New attorneys must not only have outstanding academic credentials, but also a commitment of service and leadership to the communities that we serve. A lot has changed since 1932. Our firm has grown to become one of the largest in the region – located in state-of-the-art offices. The legal needs of our clients have become more complex and the practice of law has changed in ways our founders could never have imagined. But some things never change. At WilliamsMcCarthy LLP, the trust of our clients remains our most valued asset. We work hard to maintain that trust by bringing the full commitment of a highly trained team of lawyers to every project – every client – every day – just as we’ve always done – for more than 85 years. WilliamsMcCarthy LLP is committed to giving back to the communities that give so much to us. As a result, we have an excellent reputation both in and out of the courtroom – from hours of pro bono work that helps provide free legal services to low income individuals and families to being actively involved in youth activities through sport leagues, churches and other community organizations. The firm’s attorneys also have a strong tradition of providing public service through a wide variety of charitable and community service organizations by serving on committees and boards of directors.